Chapter 7 and Chapter 13 bankruptcy are the two most common types of bankruptcy filed by individuals. In a Chapter 7 bankruptcy, the bankruptcy trustee may sell your assets to raise money to repay your creditors. In contrast, filing for Chapter 13 bankruptcy allows you to create a repayment plan that takes three to five years to complete. During the plan, you will pay repay all, or a portion of your debt by making monthly payments toward the plan to your Chapter 13 bankruptcy trustee. In Chapter 13 bankruptcy, you keep your property while you complete the plan. A Chapter 7 bankruptcy case is usually completed in three to four months, while your Chapter 13 bankruptcy case will not be completed until the end of your repayment plan. 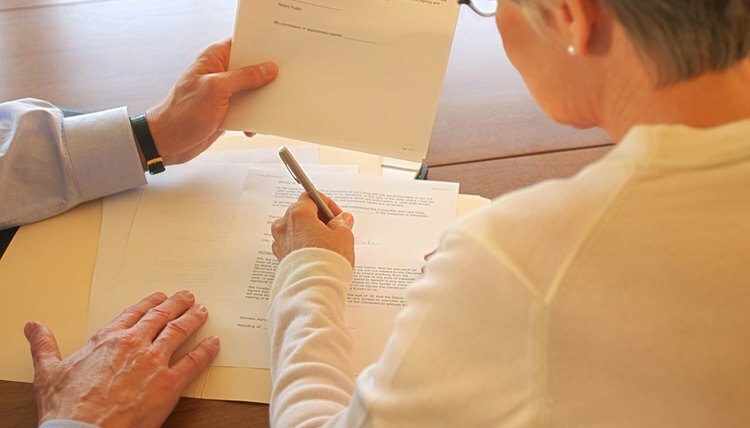 There are a variety of reasons why your bankruptcy petition may be dismissed. For example, you may ask the bankruptcy court to dismiss your bankruptcy case -- referred to as a voluntary dismissal -- if you change your mind or if you learn the debt you were hoping to erase cannot be forgiven in a bankruptcy case. In addition, the bankruptcy court can dismiss your case -- an involuntary dismissal -- if you fail to fulfill one of the requirements of filing for bankruptcy. For example, if you do not attend credit counseling before filing for bankruptcy or if you do not submit a tax return to your bankruptcy trustee, the court may dismiss your case. In a Chapter 13 bankruptcy, your case may be dismissed if you do not make payments toward your plan each month on time and in full. If you wish to reinstate your bankruptcy case, you need to discover the reason for the dismissal and correct the error. The bankruptcy court has the discretion to reinstate your bankruptcy case if the judge feels doing so is necessary. However, time is of the essence when filing a motion to reinstate. While the time to file a motion to reinstate varies by state, most states require you to file the motion within 10 to 14 days after the dismissal and before the dismissal order is finalized. To file a motion to reinstate your case, include the reason why your case was dismissed and explain any mistake you made. For example, if you missed a Chapter 13 payment, explain to the court why you missed the payment. If you did miss a Chapter 13 payment, you must make up the payment and be current on your repayment plan in order to request reinstatement. If your bankruptcy case is dismissed and you do not receive a bankruptcy discharge, your bankruptcy will still appear on your credit report. A bankruptcy will typically stay on your credit report for 10 years. In addition, you must wait 180 days before you can file for bankruptcy again following a bankruptcy dismissal. If you refile for bankruptcy, both bankruptcy cases will appear on your credit report.